I don’t know where she gets ’em, but “The glasses lady” is sweet and jolly, and always knows exactly what funky, plastic frames will look good on your face (and she’s not afraid to tell you which ones will look bad, either). Come in with a set of your glasses and she’ll figure out the prescription and fill your new frames. 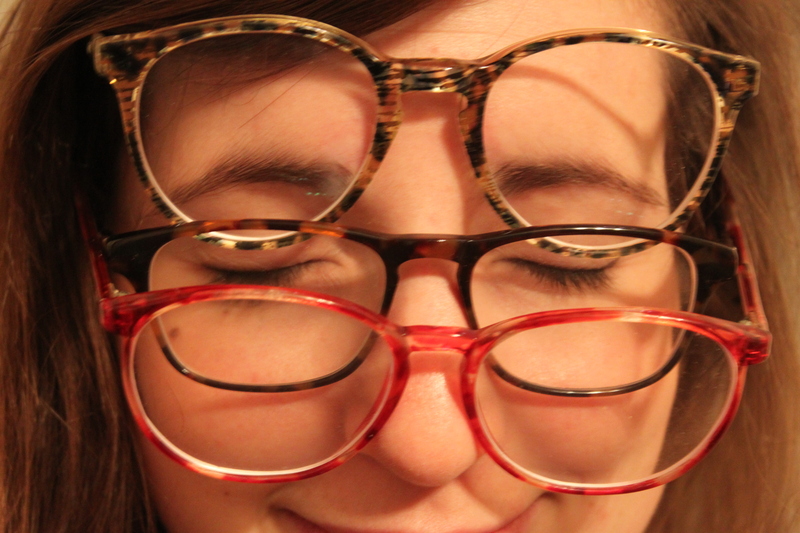 She also can bend any misshapen glasses to their old shape, and has a beautiful collection of vintage sunglasses. Thanks for the info. I don’t need glasses anymore since I had laser vision correction, but I wanted a pair for fashion. It’s good to know that she will be honest about what looks good and what doesn’t. I will definitely have to give this place a shot. Can You tell me pleas where is the store ??? just around the corner from cafeteria horyea and the gad at midan falaki. Okkk and does she sell vintage glasses ????? And does she have a variety of options ??? ?